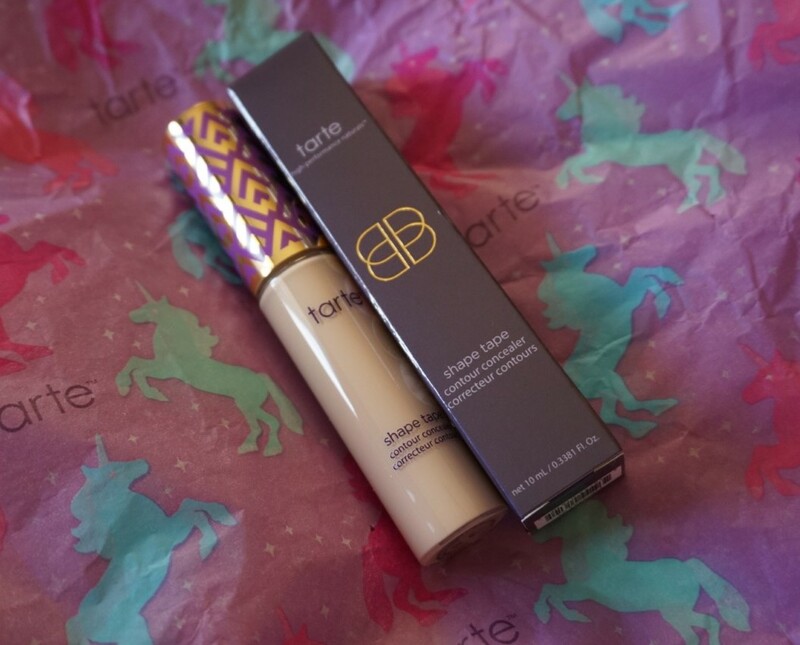 Is the Tarte Shape Tape Concealer worth the hype? Yes. Yes. Yes… and a thousand times, yes. If you’re a big fan of high coverage concealer which stands the test of time and specifically flatters your skin-tone, this concealer is going to change your life (without sounding too dramatic). It has a big spongey brush which applies a thick layer of concealer in an instant – you really don’t need to apply much product to the face for a high-coverage finish, meaning that this fairly large tube is going to last a really long time. Until now, I was a huge fan of the Nars Radiant Concealer, but it has nothing on the Tarte Shape Tape! I’ve fast switched the everyday concealer in my makeup bag and left the Nars one for occasional use. I chose the lightest shade possible – Fair, which is well-suited to extremely fair skin, with the choice between an additional 13 shades. And best of all? This concealer actually retails for LESS than the Nars alternative – a £19 price-tag which can easily be justified thanks to how legendary this product is! Forget colour correcting eye bags, scarring, discolouration and acne – this concealer is so thick but crease-free that it covers any unwanted colouration once layered on top of foundation. If anyone has tried this product, I’d love to hear what you think in the comment space below! I want the Shape Tape concealer so bad; everyone has been talking about it, agh! did you buy this directly from the tarte website? I’ve always wanted to try it but i’ve read that if you buy from them and you’re in the uk you have to pay extra upon delivery? If you did buy this from the tarte website, i’d really appreciate some details about purchashing! I agree 100%! This concealer is amazing and I’m so glad that I’ve tried it out this year. It’s so good. Mine is in the mail! I am so excited ❤ Great post! ← Pixi Beauty #MultiMisting – Hit or Miss?